Josh and I first discovered Onli at Orlando’s Taste of the Nation. We were winding down our night, and making one last round of the tables. Full of food, we were looking for something refreshing to top off our night. 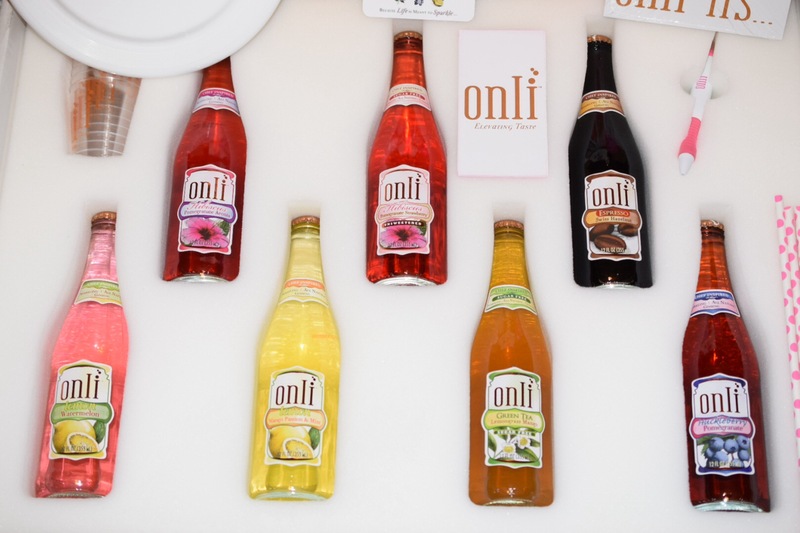 The Onli beverages table caught our eyes. The ladies manning it were friendly and knowledgeable. So many of the flavors they showed us were tempting: Hibiscus Pomegranate, Green Tea with Lemongrass and Mango, Huckleberry Pomegranate, and others. I chose the Green Tea and Josh Lemon Watermelon. Right away we impressed with the bright, bold flavors, and cool, crisp taste. We agreed we would need to find out where to buy these. Publix. The answer to that question is Publix. We tweeted, Instagtramed, and Facebooked our love of Onli. Onli responded and graciously sent us a care package of love. We received seven bottles of Onli (! ), a tote bag, a beach ball, a frisbee, a pen, napkins, straws, and tons of literature. Not only were we learning more about Onli the beverage, but also how to use it to make other drinks of the adult nature. This weekend was beautiful. The weather was balmy and bright with only a few, short rain showers. 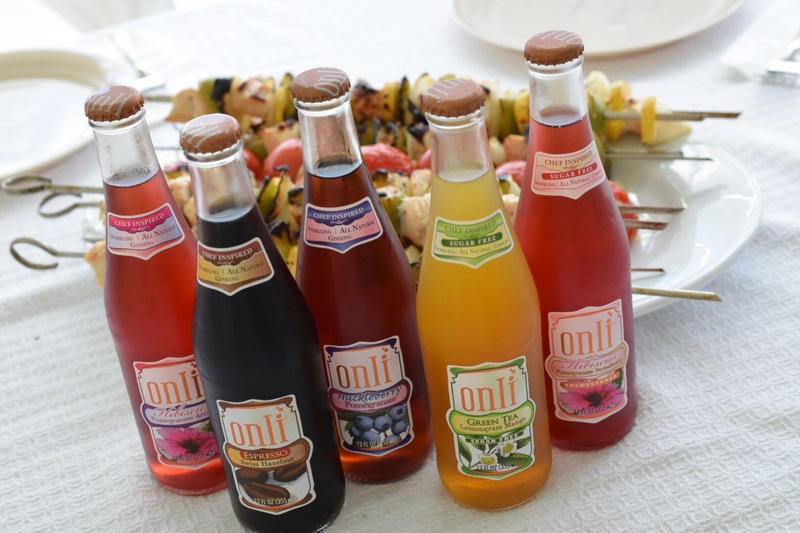 It was perfect for a cookout at my parents with some pool time and introducing them to Onli Beverages. My mother, knowing of our need to photograph everything we eat and drink, brought out the good dishes, and even the crystal for the drinks. Glasses were passed as food was plated. Everyone wanted to try everything. Favorites emerged: my mom preferring the unsweetened Hibiscus Pomegranate Strawberry, my dad the Green Tea Lemongrass Mango, Josh the Huckleberry Pomegranate, Jack the Espresso Swiss Hazelnut (though he was only allowed a few sips. He is only seven), and I the Hibiscus Pomegranate Aronia. Honestly, though, they only picked favorites because I asked. Every one was deemed tastefully refreshing. 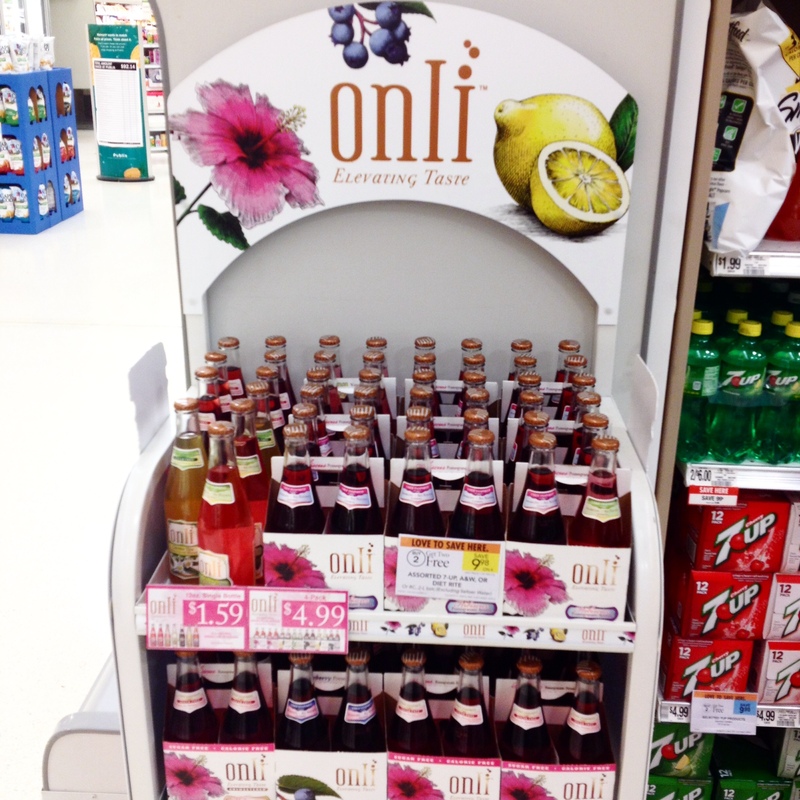 Had I discovered these refreshing, tasty beverages earlier in the summer, I can almost guarantee that Onli would have dominated my fridge and pushed aside all the inferior drinks that now clutter my shelves. To put it plainly: they are delicious, refreshing, and the packaging is perfect. I could, honestly, drink one of these every day. And, since they’re made from all natural, GMO free ingredients I won’t feel so bad indulging. I’ve already purchased a four-pack for my desk. In fact, I’m drinking one now as I write this. Green Tea Lemongrass Mango, if you were wondering. I think this is the start of a beautiful friendship. Enter your email address to make your mouth water and your taste buds tingle on a regular basis.